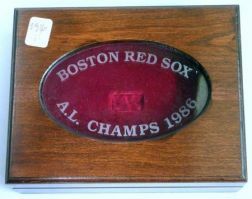 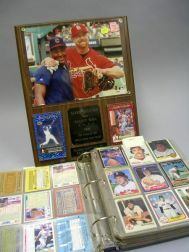 1986 Boston Red Sox American League Champs Etched Glass Inset Mahogany-finished Wooden and Red Velvet-lined Ring Box. 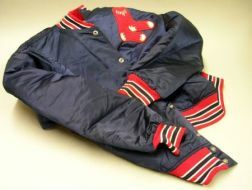 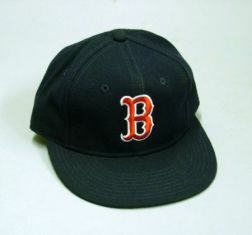 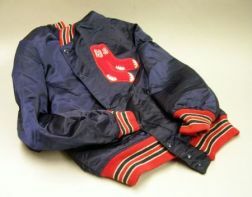 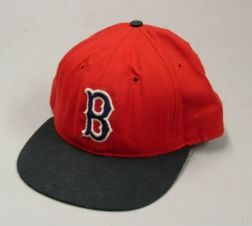 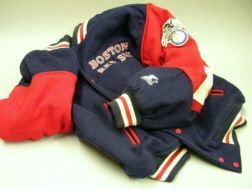 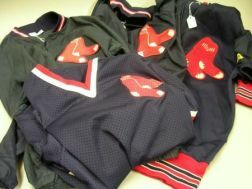 Boston Red Sox Satin Team Jacket. 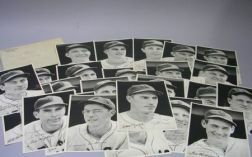 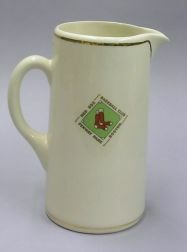 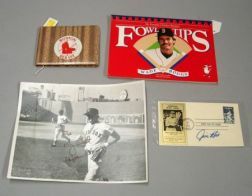 Bruce Hurst Autographed Boston Red Sox No. 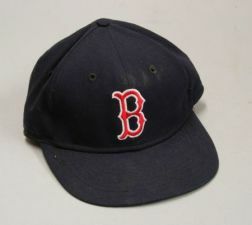 47 Hat. 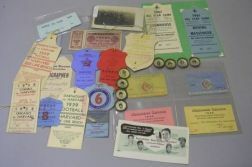 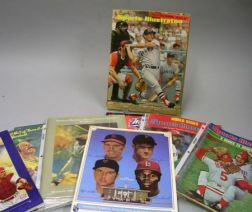 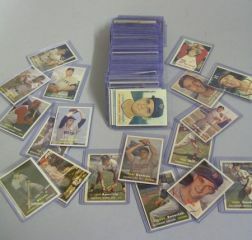 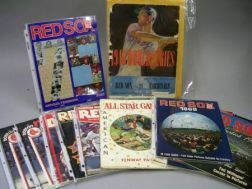 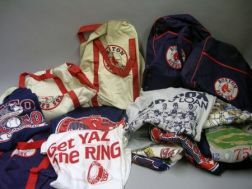 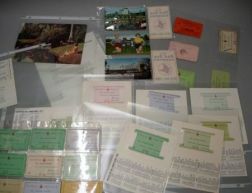 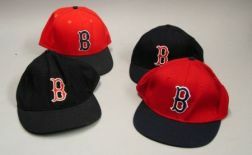 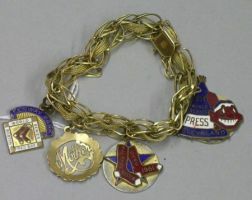 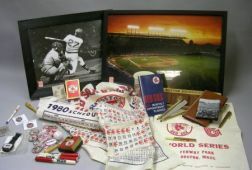 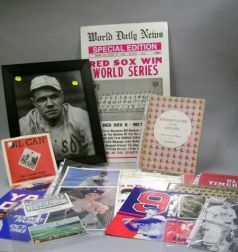 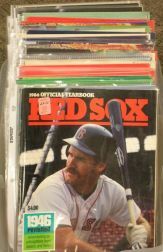 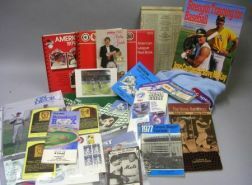 Four 1980s Boston Red Sox Game Used Hats, Assorted Batting Gloves and Wristbands. 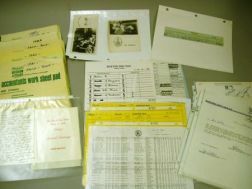 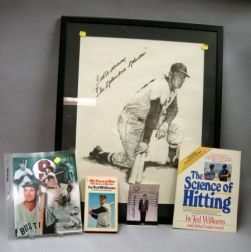 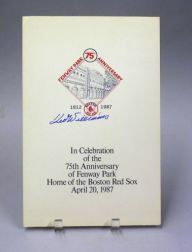 Ted Williams Autographed April 20th 1987, Fenway Park 75th Anniversary Commemorative Pamphlet.